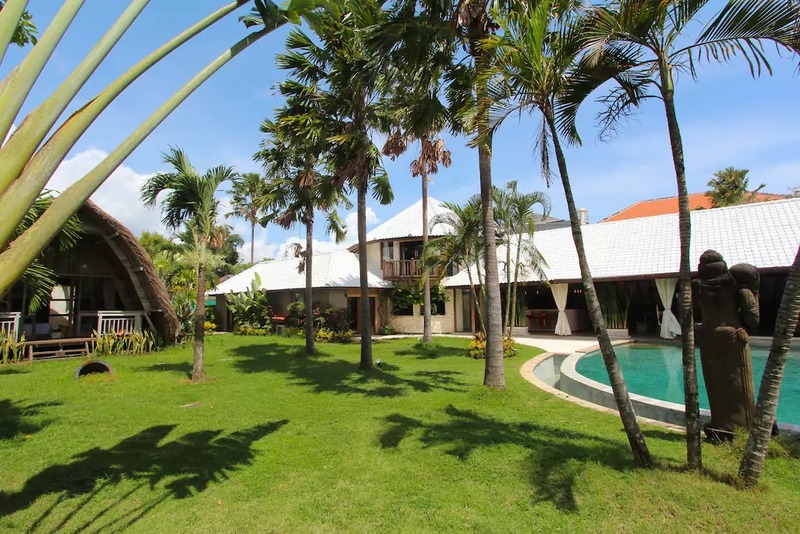 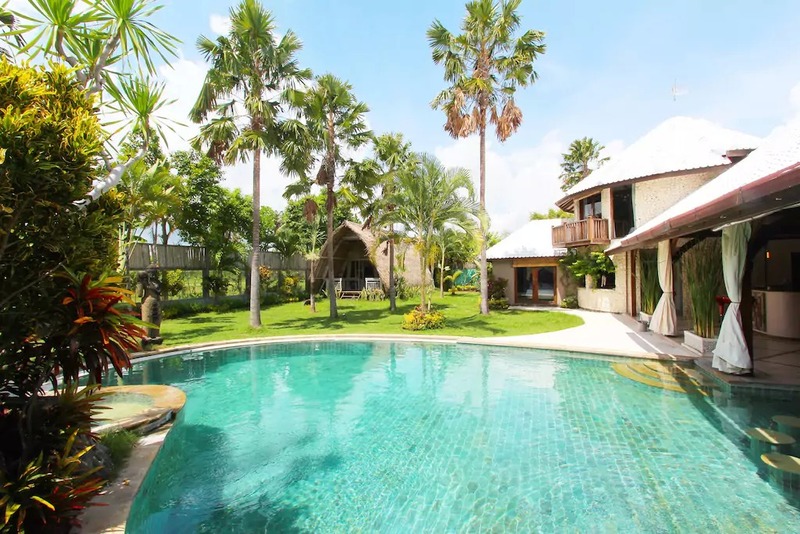 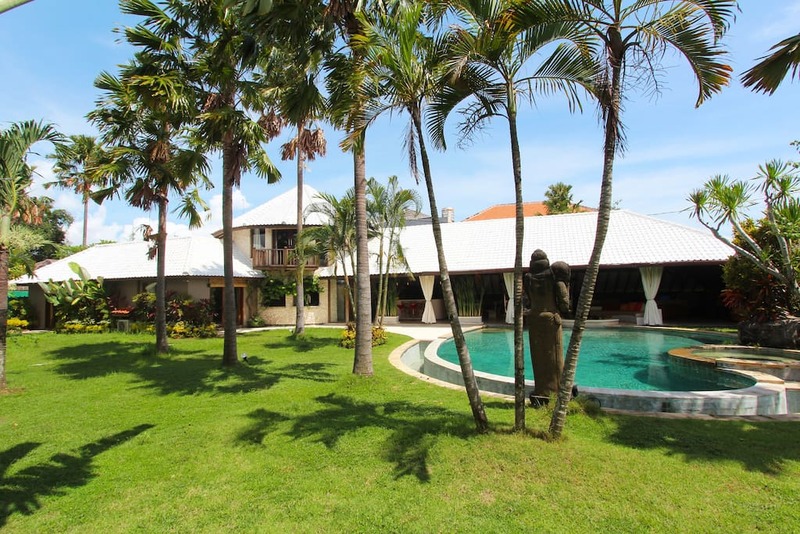 Bora Bora villa is a tropical haven located in a sanctuary area of Canggu which is only 5 minutes away from Exclusive Canggu Club, Baliâ€™s premier private members club, and Canggu Plaza and less than 10 minutes to famous brawa beach. 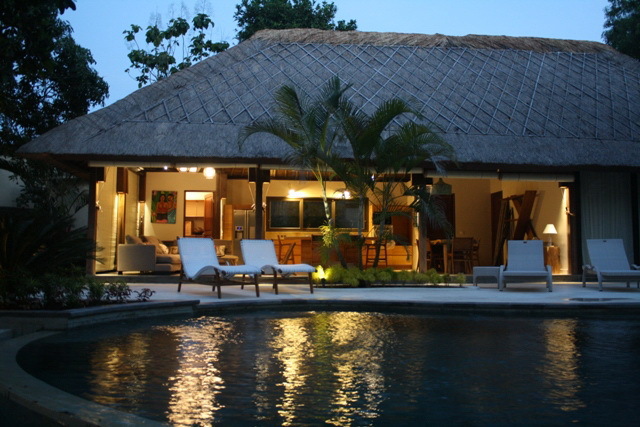 The house is built on 2 floors and features with 3 bedrooms, open living area, chill out area, fully equipped kitchen, shape swimming pool and Jacuzzi. 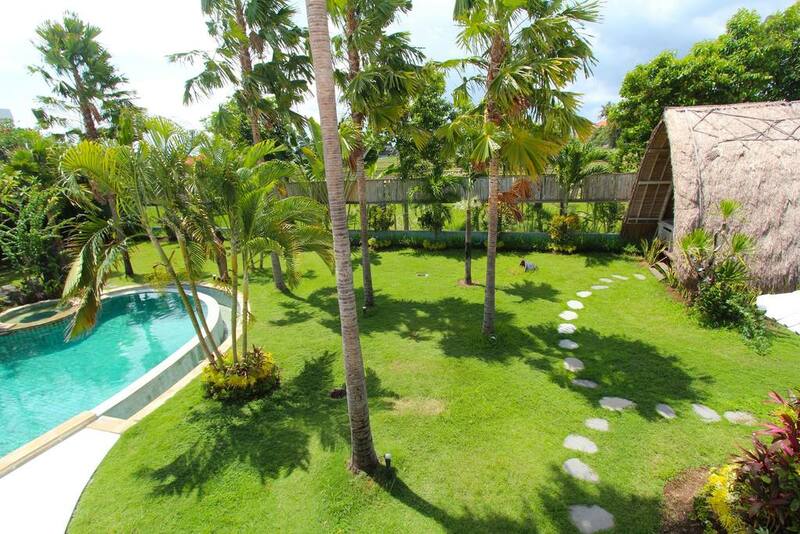 The lush garden is landscaped around the swimming pool and rice field view is around. 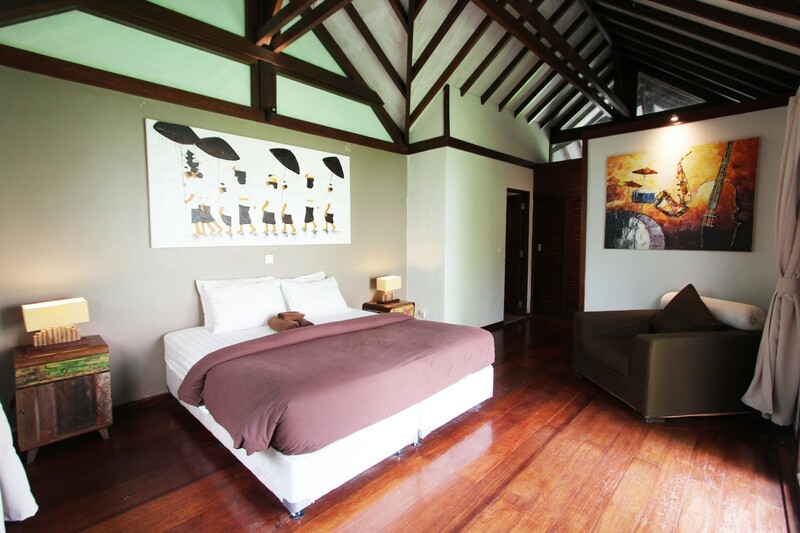 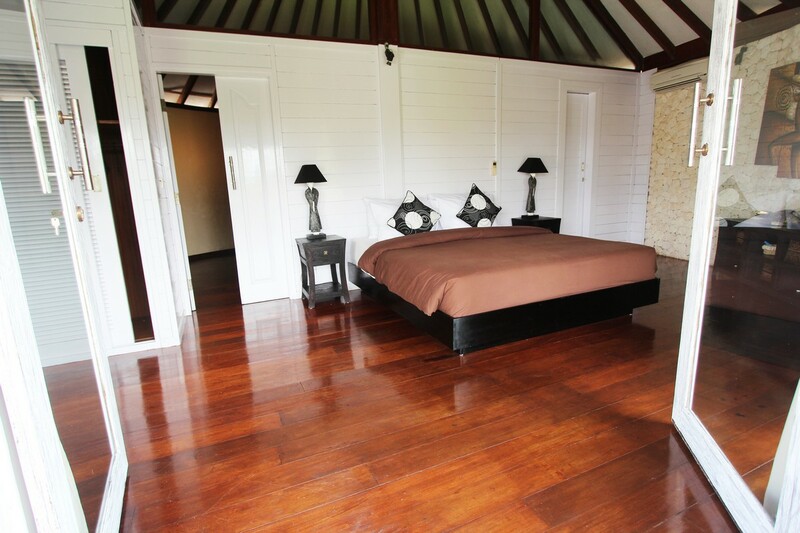 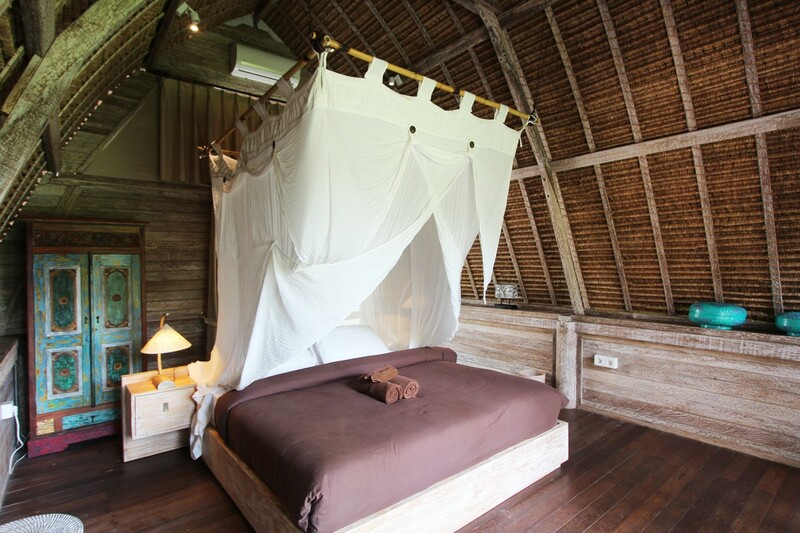 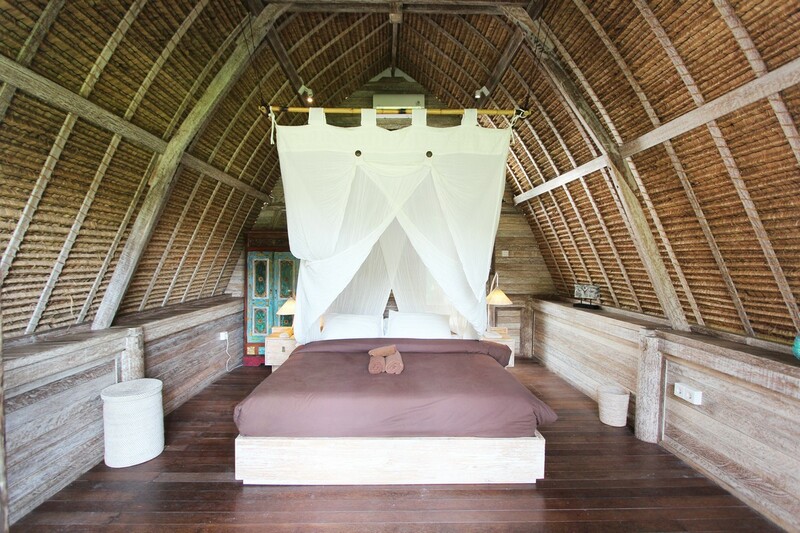 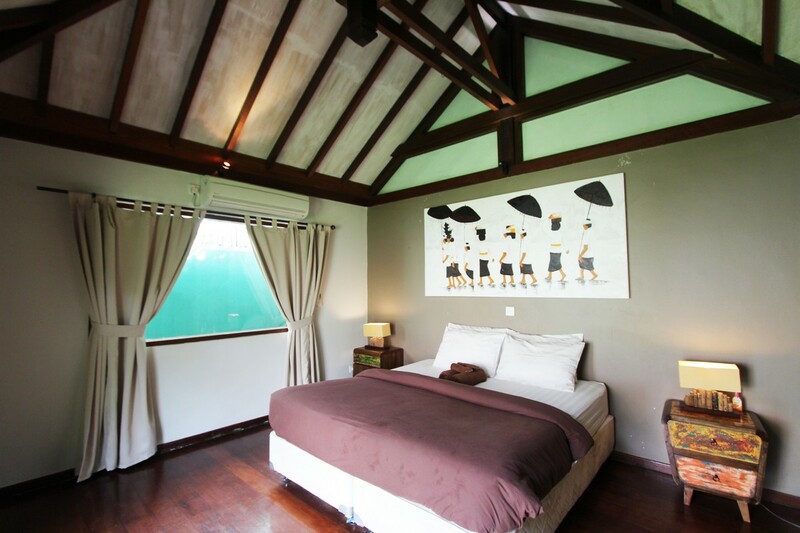 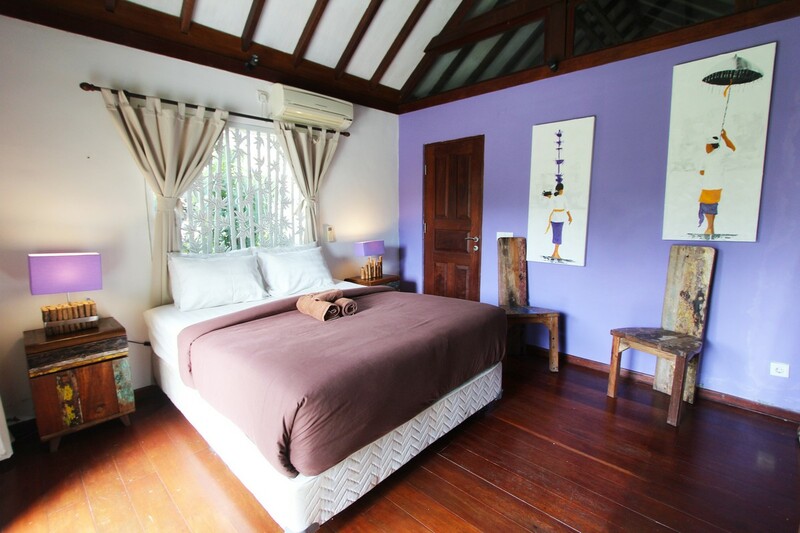 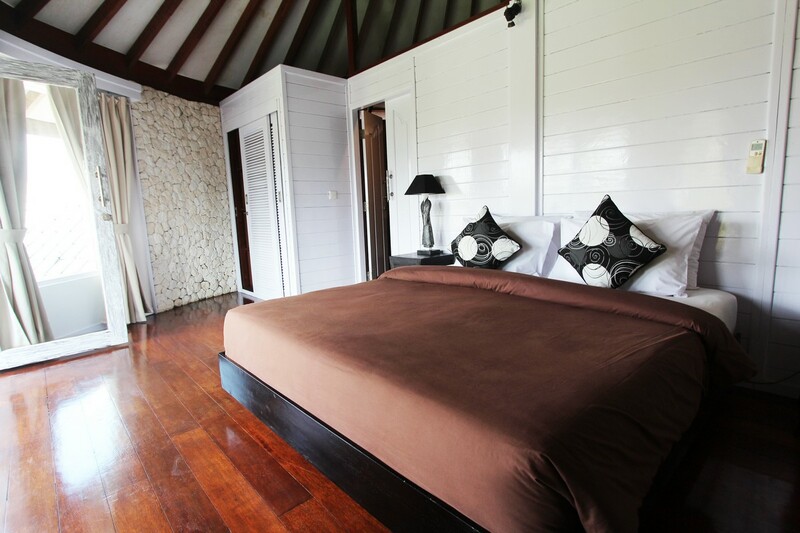 The master bedroom is set up upstairs with glass window overlooking to the rice field and attached to en suite bathroom. 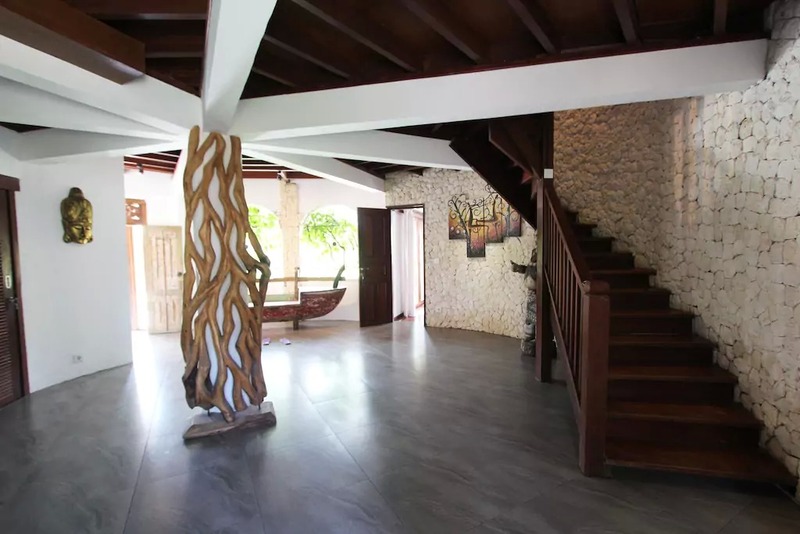 The floors are linked by wooden stairs with secured design for young or children. 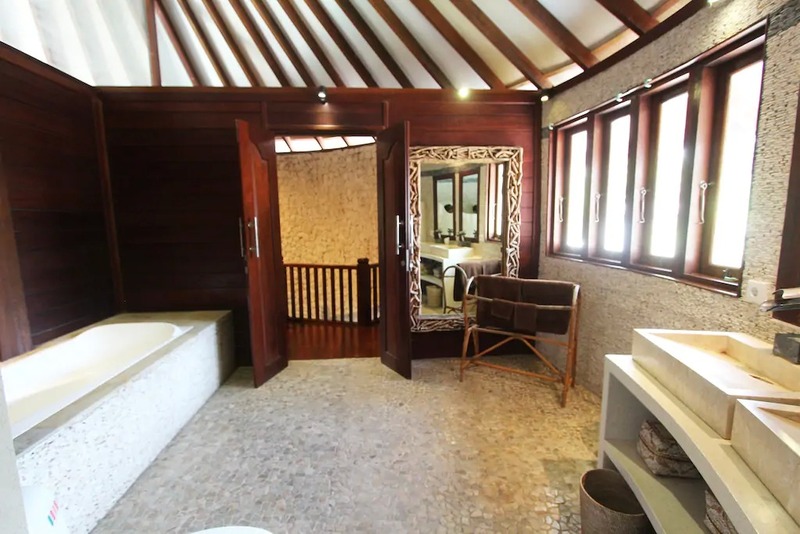 The two bedrooms are located on the first floor and connected to an open air bathroom. 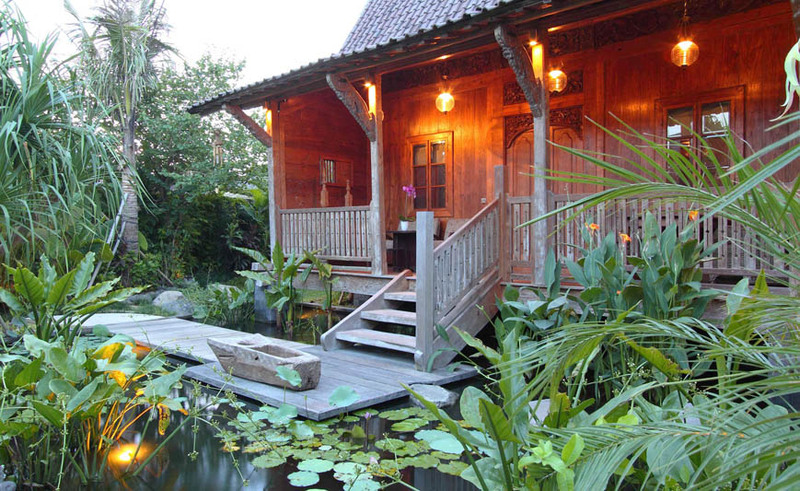 Each of them yet has an access to the garden. 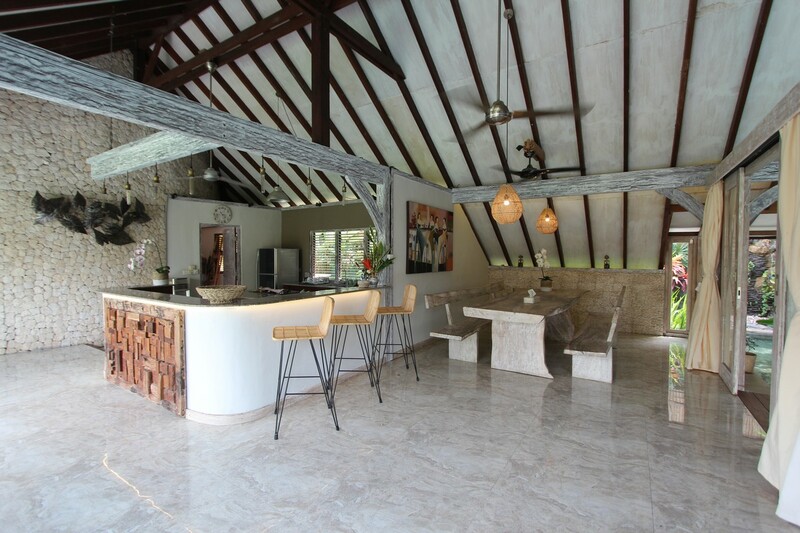 A modern kitchen and dining area are apart from the living area by splash river pool and connected by a small wooden bridge. 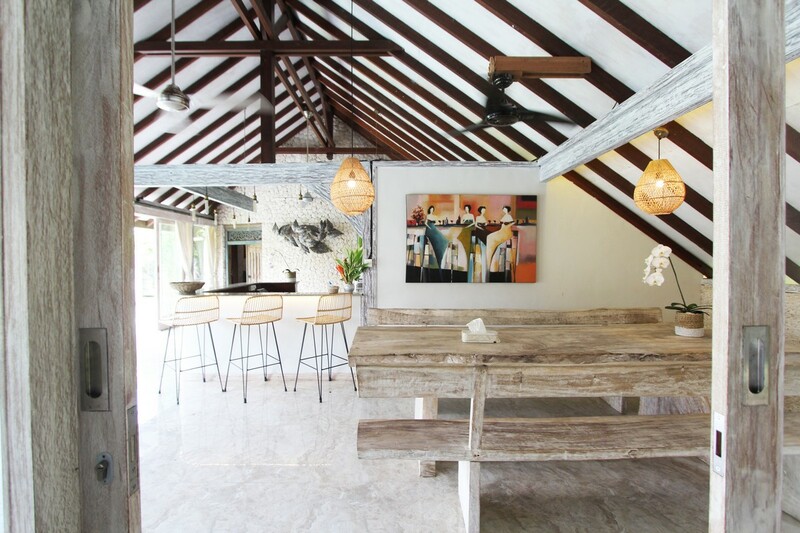 The kitchen of the villa is fully equipped mixed in modern style with bar chairs. 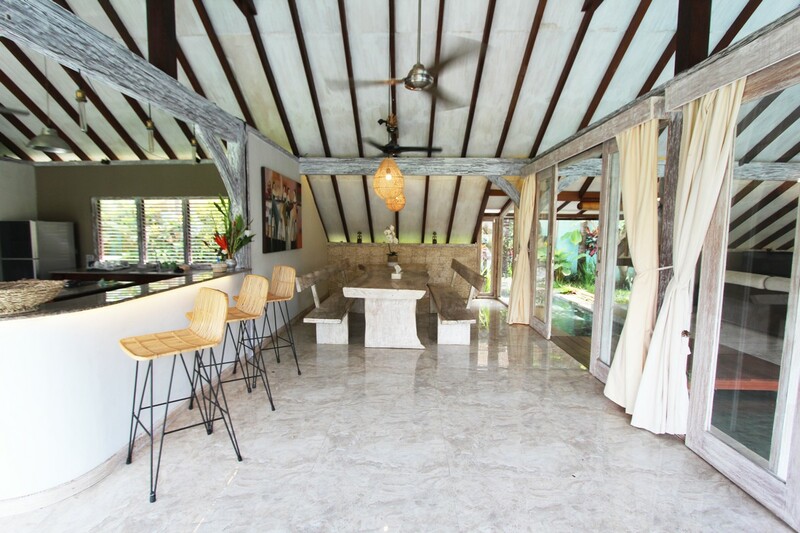 The dining area is well adjusted between the kitchen and living room and the sound of the water drops from the fountain will bring you to the deep feeling of nature. 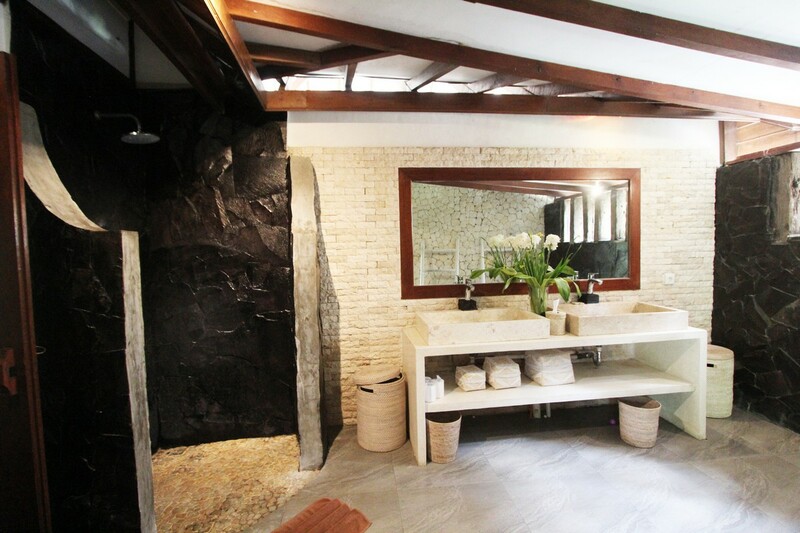 Water falls from the fountain and flows along the splash river to the swimming pool. 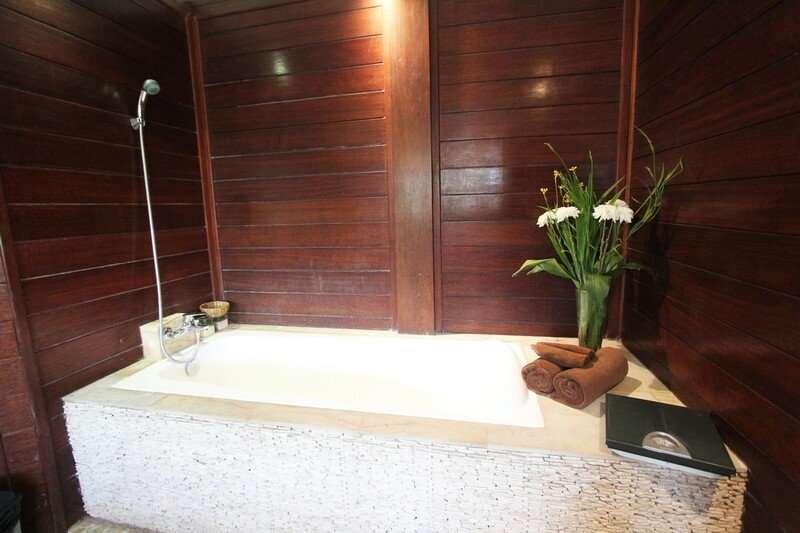 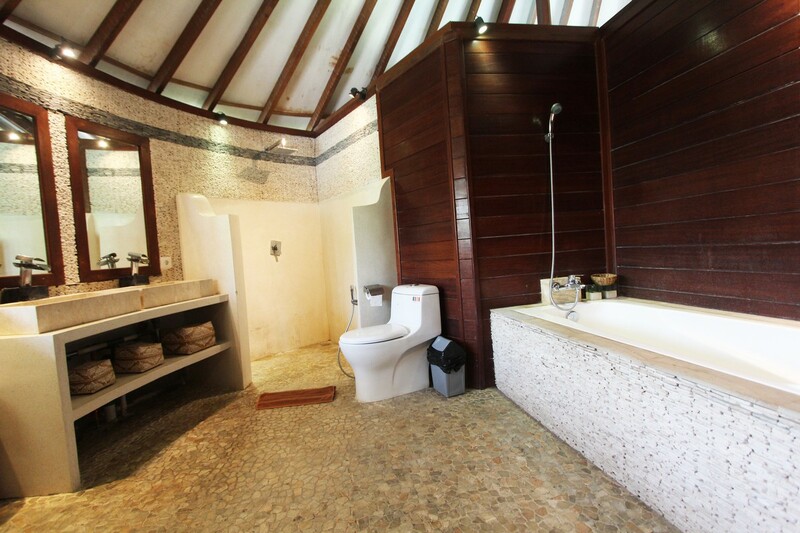 Spoil yourself in the swimming pool or Jacuzzi and enjoy the beauty of rice field view and coconut trees. 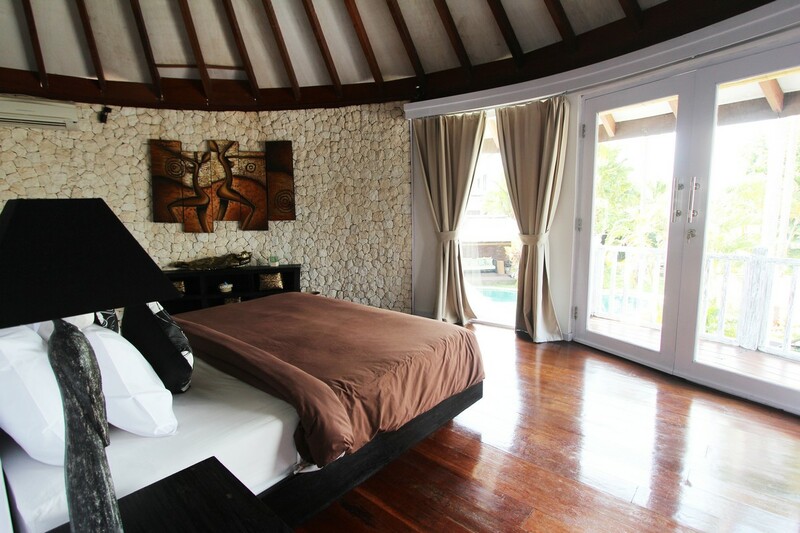 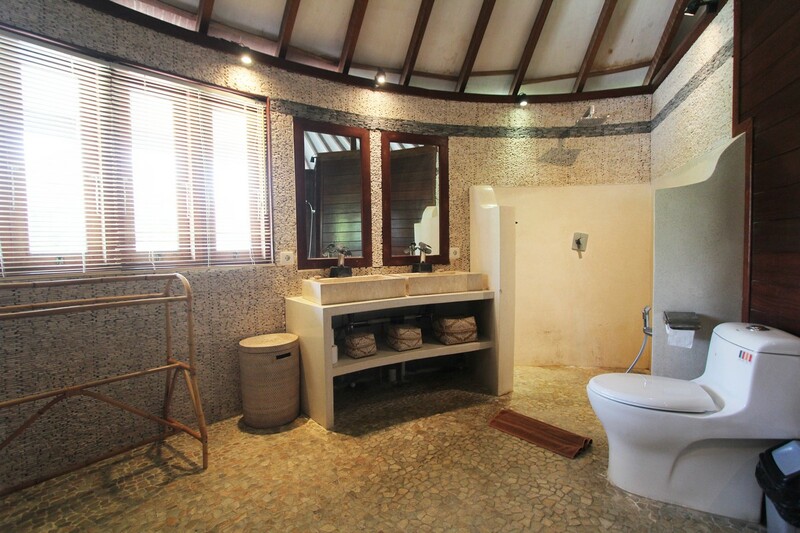 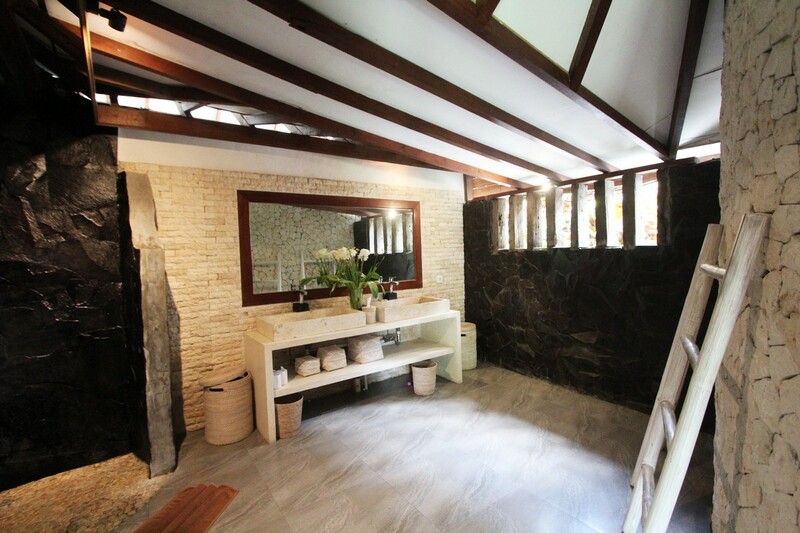 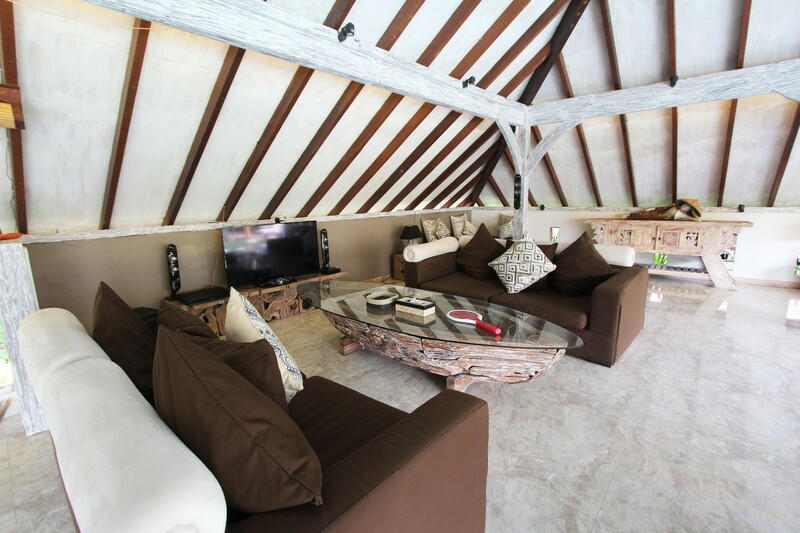 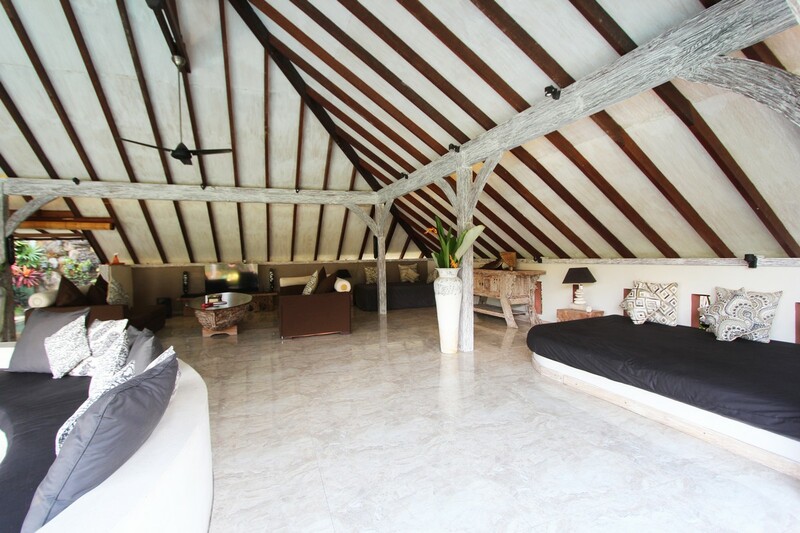 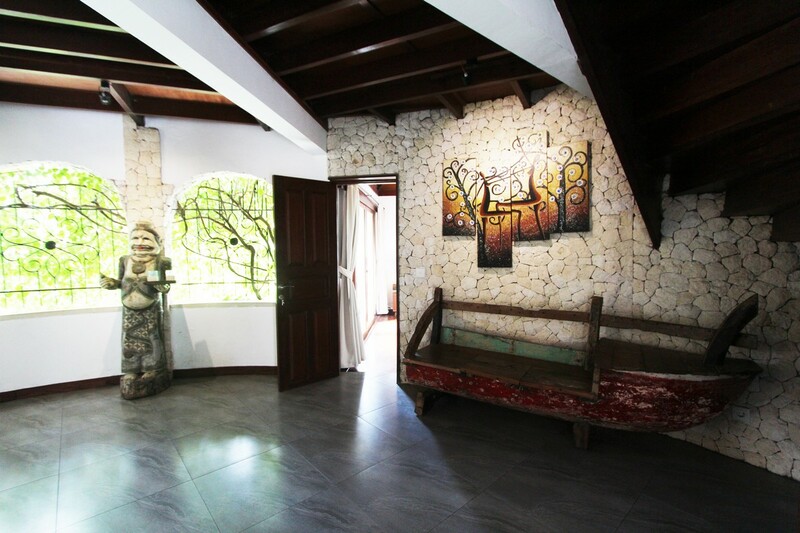 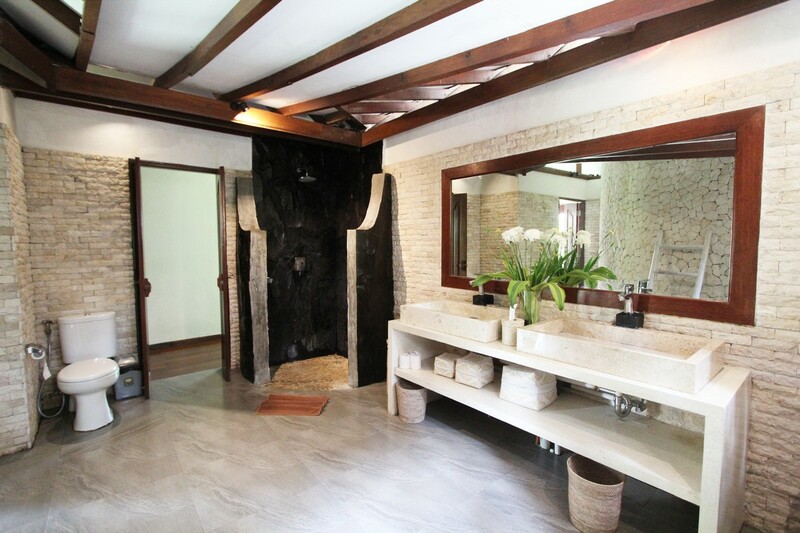 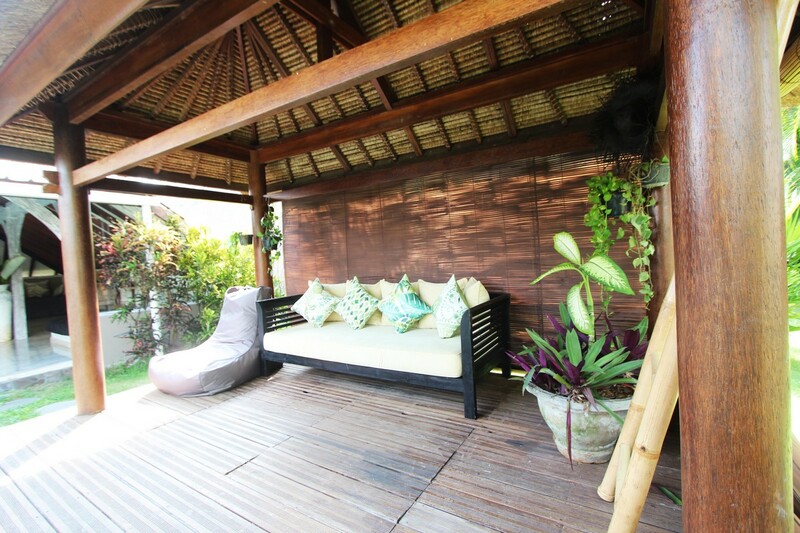 This rental is offering you a secret of living in Bali without being away from the tourist sightseeing. 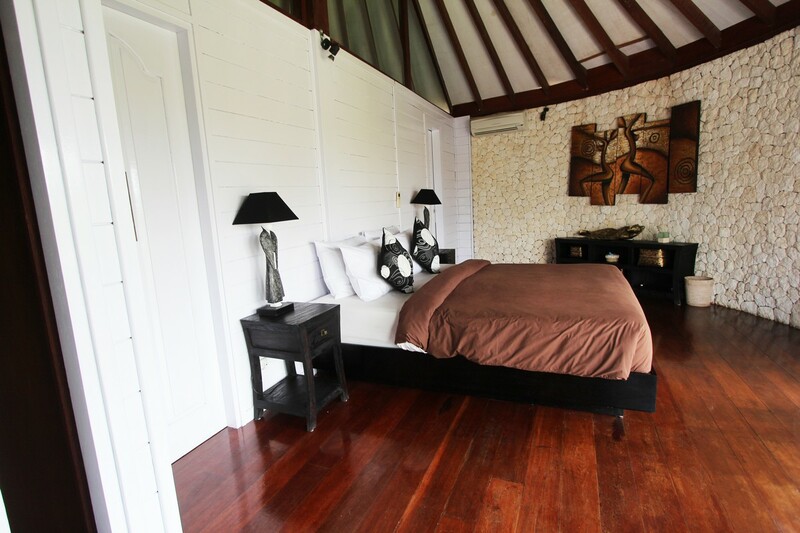 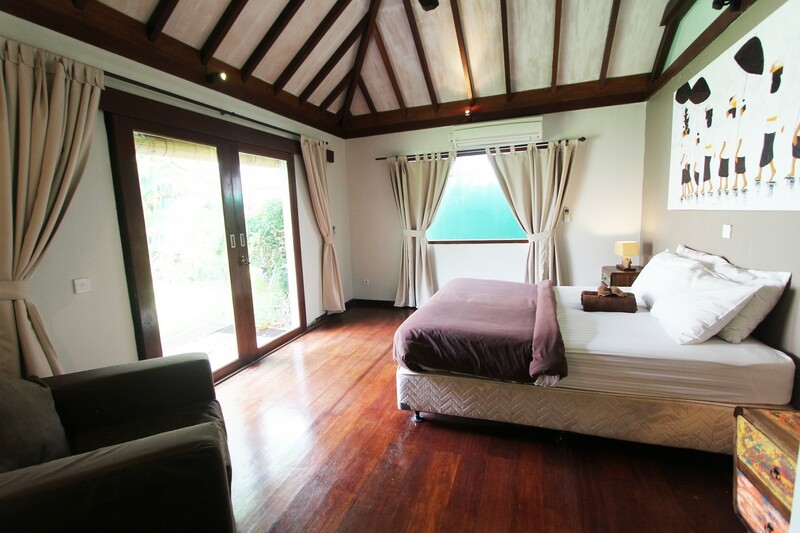 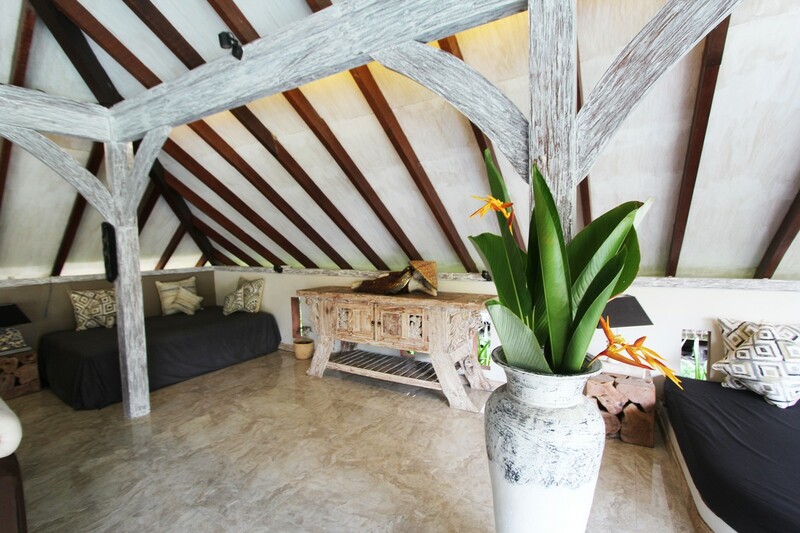 Villa Bora Bora is definitely a perfect choice to take advantage of the Balinese dream. 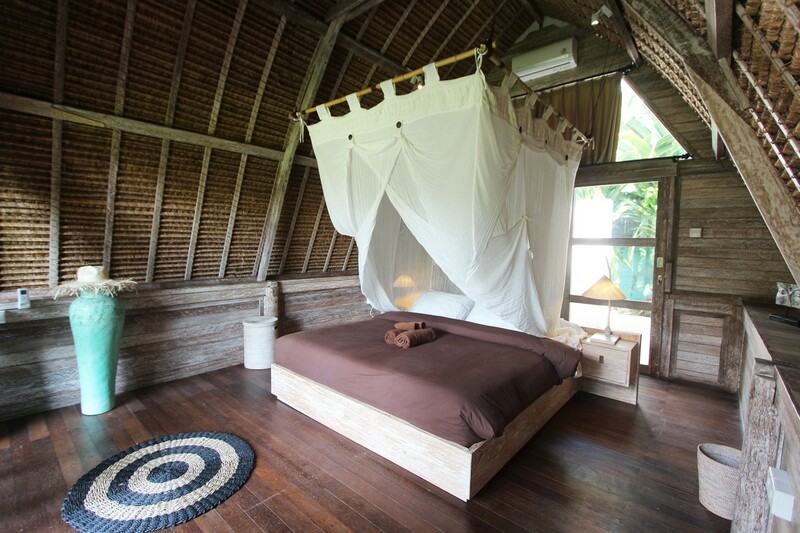 A big thank you to all the team of Bali I love you, especially to Greg. 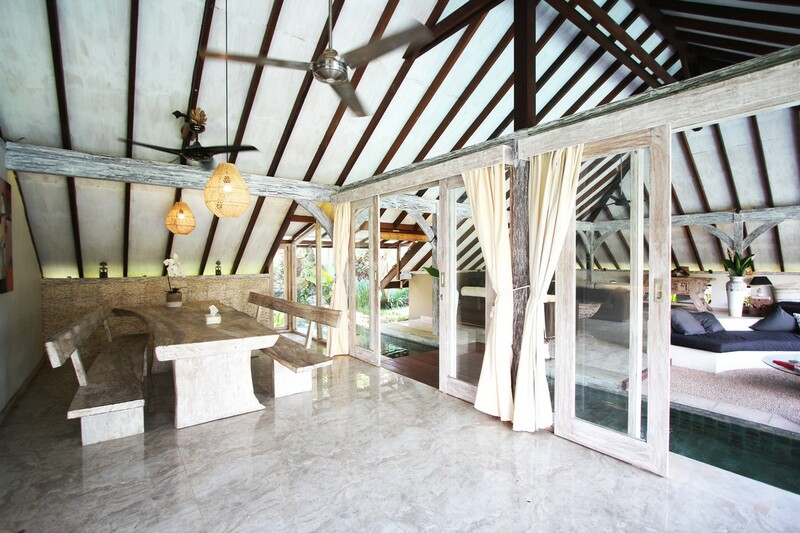 See you next year for sure.